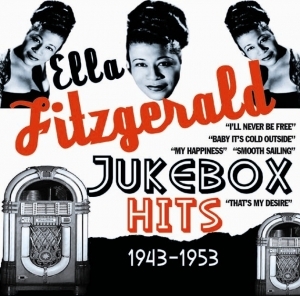 Our hugely popular Jukebox Hits series goes from strength to strength with this wonderful collection of tracks from the one and only Ella Fitzgerald. On this album we have gathered together all of her chart entries on the Billboard R&B chart and have included “Crying In The Chapel” which makes its CD debut in this package. Few artists have achieved such acclaim and her position in the world of music is noted by the fact that she is known worldwide by her Christian name alone. On this collection you will discover that most of her R&B hits at this time were in the company of other artists like Louis Jordan, The Ink Spots, Louis Armstrong and The Delta Rhythm Boys. This is an Ella Fitzgerald CD for Blues and R&B fans and hopefully will introduce her to some new fans as well as delighting her dedicated fans worldwide.